I set some pretty big goals at the beginning of the year and one of them was to explore the option of owning my first home, with the long term goal of becoming a real estate investor. I’ve rented in the Brazos valley for over 17 years (wow) and as I continued to deal with paying high rental prices, a leaky rental property roof and all of the college students…. I finally threw my hands up and said enough is enough. It’s time to move on, move forward and take the leap. Ok so the decision to buy wasn’t exactly that easy. Last week I shared with y’all a few home buying tips and lessons I’ve learned throughout this process. But one of the big takeaways for me was interviewing a real estate agent. I will admit I failed at this part, that’s why I am sharing with you today, the top 5 questions you should ask your potential Real Estate Agent. Bonus: I’m also sharing a fun exercise you can do that will help you answer questions that a real estate agent will ask you during your first meeting. 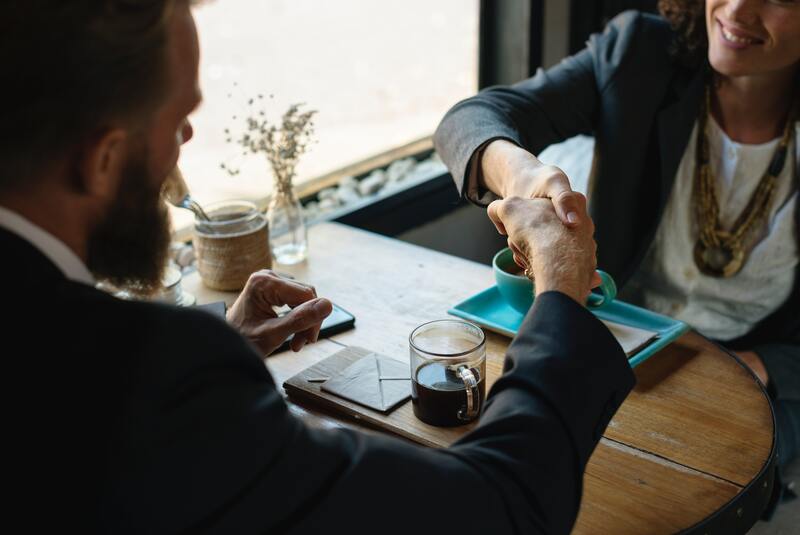 Choosing your Real Estate Agent: My recommendation is to choose three agents to interview… ask a friends for a referral or use the Dave Ramsey Endorsed Local Provider (ELP) guide. Once you have narrowed your search down, set up face-to-face meetings. It is so important to meet your potential agent in person. I know this is hard to do in today’s world of technology, but trust me you will know within 10 to 15 minutes of meeting the agent if you will be good business partners. How long have you lived in (insert community name here) community? What does the home buying process look like with you? How will you match my must haves/wish list items with a potential home? Have a good idea of when you would like to be moved into your house and when you plan to close. If you are currently renting and are nearing the end of your lease agreement before you can get into a new home, I would encourage you to speak to your landlord about the option of going month-to-month or extending your lease if you think that would even be an option. I setup a time to meet with my property manager and explained my circumstances and she was completely accommodating. The key thing is to just communicate. There are new costs of living when you own a home that you need to be aware of outside of your monthly payment, such as PMI (private mortgage insurance) if you are not putting 20% down, home owners insurance and property taxes. If you have a lender in mind I would recommend speaking with him/her before starting to look at homes. You don’t want to fall in love with a home that you will never be able to pay for in the end. Your lender will also provide you with a Pre-Qualification Letter that you will need before placing an offer on a home. This is a document that shows the seller that you are serious and have the ability to purchasing their home. Tip: When you are pre-qualified, the amount will most likely be over your budget, so make sure you have done the math and it is a monthly mortgage payment that you can honestly afford. I was pre-qualified way out of my comfort zone, so I had the lender decrease the amount listed on the pre-qualification letter, this will help you when negotiating with a seller. For example if you are pre-qualified to buy a home for $250,000 , but know you only want to spend $200,000, you will want the letter to reflect the budgeted amount. My recommendation would be to meet with a lender before starting the home buying process, but it’s not necessary, it just depends on what stage you are at in your home buying process. For me I am very much a gatherer of information, then I will think on the information for awhile and then make the decision. So I chose my real estate agent first and then selected a lender. You’re agent will most likely have two to three lenders that he/she works with and can make a referral to you. Is there an area in town that you would like to focus your home buying search? Have a good sense of the neighborhoods that you are interested in and even the ones that you don’t want to live in. As a single person, I was not concerned with school zones/districts as much as I was on location to my employer and family members who also live in the area. Another thing to consider is new developments around the particular neighborhood and does it align with your needs, such as grocery stores, restaurants and retail. What are your Must Haves/Wish List/Deal Breakers? I’ve put together a fun exercise that will help you to have this ready at hand when asked this question. My real estate agent provided me with a listing that was in my budget and asked me to basically give a review of the home. He asked me to tell him everything I liked about the house and everything I didn’t like about the house. While reviewing this home it allowed me to clearly formulate my must haves, wish list items and also the deal breakers. Here is a free download to help you navigate your first home time buying experience, Growing Up Texas_ Yes to the House, Exercise !